The StageSelect IEM stereo wireless in ear monitor system features 16 channel frequency agile performance for outstanding connectivity. CADLock Automatic Tone Code Squelch eliminates unauthorized interference in RF unfriendly environments. Stereo operation lends flexibility of use = you may send discrete signals to the left or right channel. High performance MEB2 monitor earbuds are included to make your listening experience top flight. The MEB2 TruePitch Balanced Armature Earbuds provide accurate audio reproduction while the EasyFit silicon ear molds provide a custom fit. 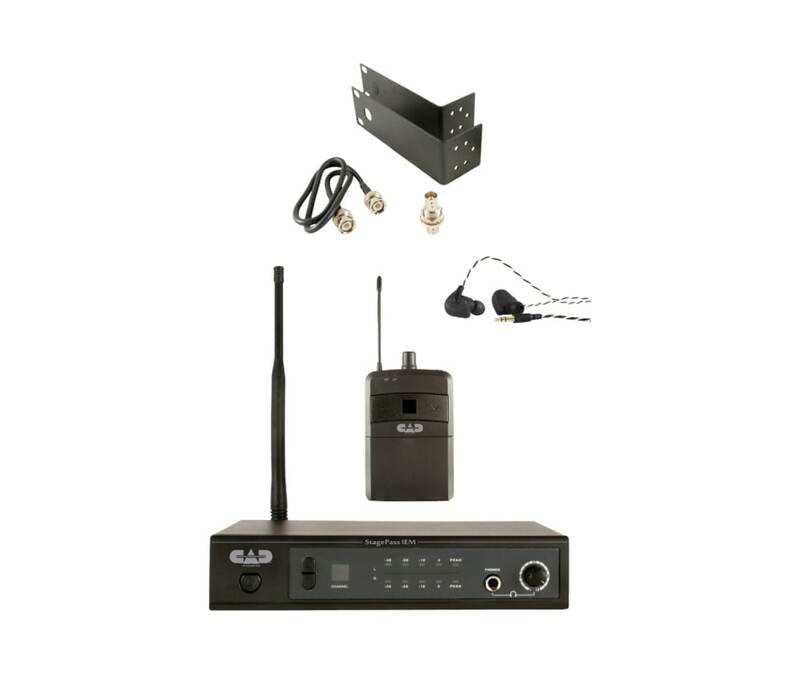 The metal construction rack mountable transmitter is supplied with rack ears, half wave antenna, antenna relocation kit and sturdy carry case.